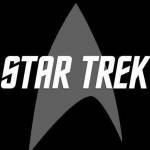 Welcome to the OFFICIAL Star Trek Facebook page. Visit us at www.StarTrek.com! Star Trek is a gateway to the future with adventures that take place hundreds of years from now. The denizens of the Star Trek universe are intensely curious and eager to learn about life beyond their own backyard. They travel through space, seeking out “new life and new civilizations,” in large ships that travel faster than the speed of light. These starships are crewed with personnel who serve in Starfleet, an agency chartered by the United Federation of Planets (UFP) to conduct exploratory, scientific, diplomatic and defensive operations in deep space.